NASA hasn’t heard from the long-lived Opportunity rover since 10 June when a growing global dust storm darkened the red planet’s sky so much the spacecraft’s solar cells could no longer charge its batteries. But mission managers at the Jet Propulsion Laboratory in Pasadena, California, say the storm finally appears to be abating, and engineers remain hopeful the rover will try to phone home when skies clear enough to let the sun recharge its power system. A detailed analysis of telemetry from the rover before it fell silent shows its batteries were healthy and in relatively good condition. While not conclusive, the data indicate the power packs should weather the storm without any significant degradation. Nature also provided a bit of help. 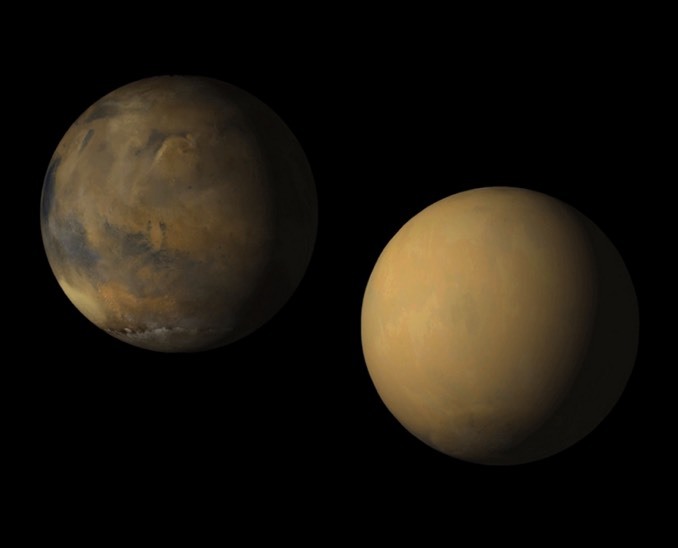 Dust storms tend to warm the atmosphere and because this one developed at the start of summer at Opportunity’s location, temperatures stayed above the levels that could trigger widespread failures. Even so, engineers are not sure what they will discover when – and if – Opportunity eventually calls home. They are taking steps to deal with three possible “fault modes” the rover may have experienced. In a low-power fault, the most likely scenario, the rover would have gone into a sort of electronic hibernation, powering down virtually all of its systems but keeping an internal clock running with programming that would wake up the flight computer once the batteries reached a sufficient level of charge. A clock fault would add another layer of complication, preventing the rover from knowing the time and when it should attempt to call Earth. In that case, Opportunity’s flight computer would attempt to use environmental clues, like an increase in sunlight, to figure out, in general, what time it might be and radio home accordingly. 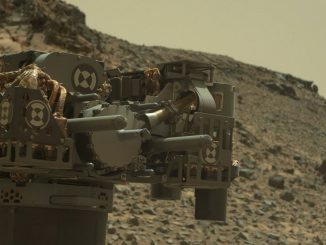 After a long period out of contact with Earth, the rover’s flight computer could assume an “uploss fault” in which it believes its communications gear is not working properly. In that case, it would attempt different methods to communicate. Engineers are attempting to contact Opportunity several times a week using NASA’s Deep Space Network, pinging the rover during “wake-up” times programmed in the spacecraft’s computer. They also are listening to a wider-than-normal range of frequencies during daylight hours in search of a signal that could come at other times because of a clock or uploss fault. 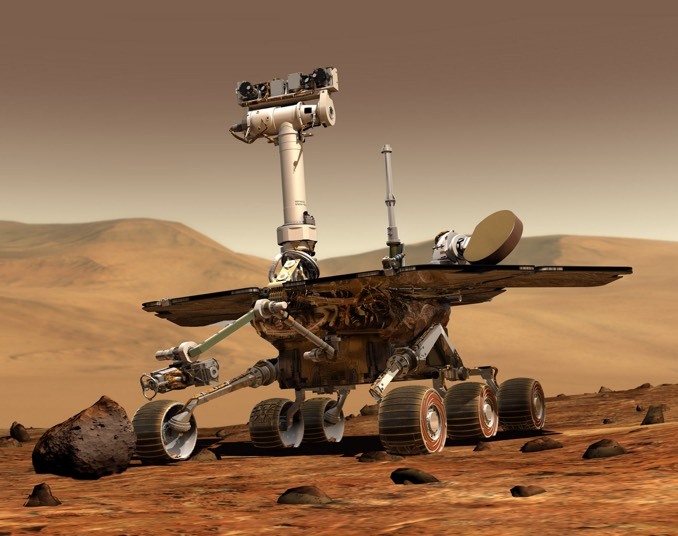 Until they receive telemetry, engineers will not know whether Opportunity will fully recover or if its capabilities will be reduced due to storm-related battery degradation. The analysis will take time, and a quick resumption of normal scientific observations and roving, assuming Opportunity survived, is not expected. Launched from Cape Canaveral on 7 July 2003, Opportunity landed on Mars the following January, three weeks after a twin rover, Spirit, landed on the other side of the planet. Both landers had a design life of just 90 days, but both turned out to be exceptionally long lived. 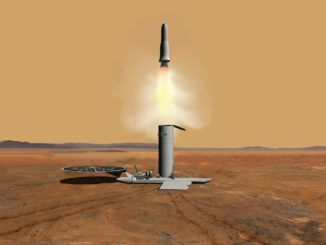 Spirit finally fell silent on 22 March 2010, stuck in deep sand and unable to orient itself so its solar arrays could keep its batteries charged. But Opportunity remained in relatively good health, marking its 5,000th Martian day, or sol, last February. NASA is examining options to launch a robotic mission as soon as 2026 to pick up rock specimens from the surface of Mars and bring them back to Earth, moving forward the timeline for a sample return mission as the agency postpones plans for a new Mars reconnaissance and data relay orbiter. 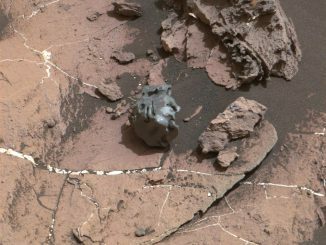 The dark, smooth-surfaced object at the centre of this image taken by NASA’s Curiosity Mars rover was examined with laser pulses and confirmed to be an iron-nickel meteorite.